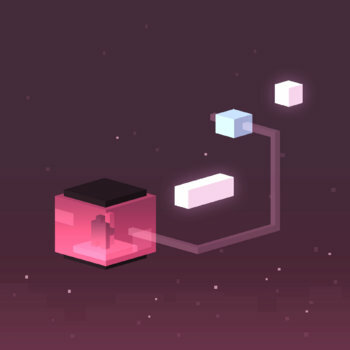 Over the last few months, I’ve been composing and creating sound for a really beautiful meditative puzzle game for iOS called Breath of Light. Made by Melbourne game development company Many Monkeys, Breath of Light is the sort of puzzle game that takes time to master, there is no rushing the process, It’s a slow paced game that required immersive, meditative music. The interface is a bit like a Zen Garden, where the player must arrange and move objects within the space to allow the flow of energy from one lotus flower to another. The game is set over 4 seasons, Summer, Autumn, Winter and Spring, each progressively more challenging as the levels evolve. Each season has it’s own musical underscore created from a bank of loops that are designed to both work in any combination, but also evolve and develop over time with the gameplay. It was decided very early on that User Interface (U.I.) sounds should add to the musical score. The way we made this work was to have a series of randomised tones associated with every object and movement within the game. All these sounds were composed in a way that to match the tonality of each season’s underscore, which allows every gesture within the game-play to contribute to an interactive soundtrack. During the development of the soundtrack, I used Ableton Live to create a performable set to play these sounds to both demo these musical ideas to the guys at Many Monkeys and to test how the U.I. sounds blended with each other. I did this by creating drum racks that housed the U.I sounds and used scenes to work out the different combinations of underscore loops for each level in the game. 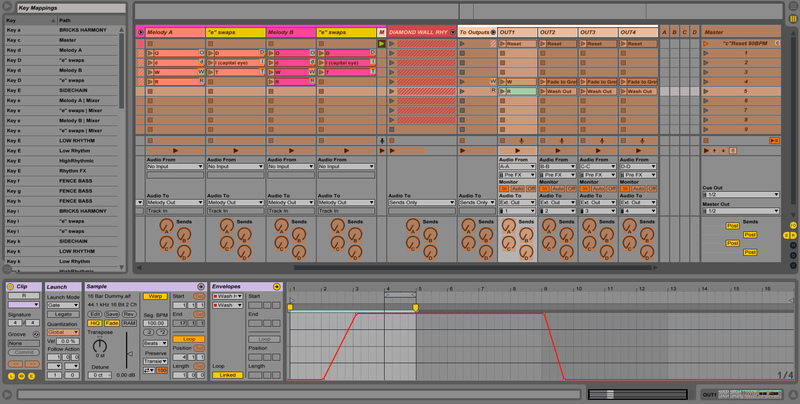 Once the nuts and bolts of the game sound was finalised, I set about developing a performable live set to recorded each ‘season’ as a musical composition in it’s own right. This was done with a little extra help from the wonderful Max for Live Dub Machines audio FX ‘Magnetic‘ and ‘Diffuse‘ which added extra flow and movement. Below are the recorded seasons of the Breath of Light soundtrack, available for free download via Bandcamp. Arts Centre Melbourne’s youth programmer Dan West arranged for this video to be made, which sum up the project’s aims and intentions pretty well. During the second weekend session we battled a bit to get our awesome sculptural object to wired up to the two MaKeyMaKey Arduino boards. But once it was finally working, and in the Fairfax Theatre foyer space , it sprung to life and happily interacted with the general public for five days straight! There were four stations where people could play the sculpture, each with a sound set that corresponded to the object’s design. The fence section played bass notes, the brick section played harmony, the tiles played melody, and the diamond wall section played rhythms. Sound came out of four speakers than were set up in various places within the sculpture. Two up high, two down low. The bass sounds and big kick sounds all come out of the low positioned speakers, and more melodic and ‘toppy’ rhythmic sounds came out of the high positioned speakers. 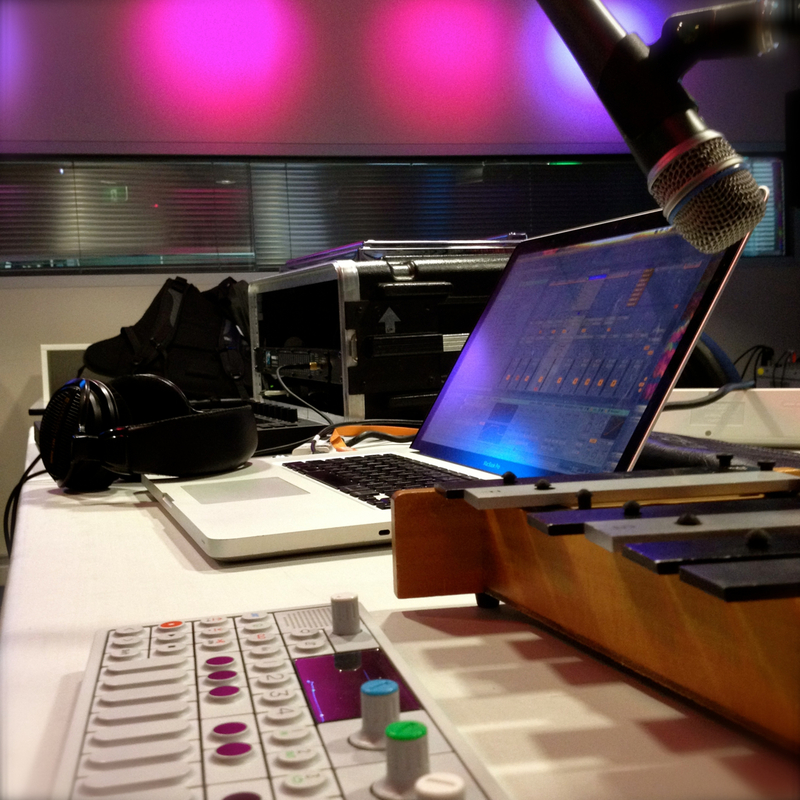 Central to the sculpture making sound were two MaKeyMaKey boards that sent QWERTY key messages to Ableton Live 9. These MaKeyMaKey boards are triggered by making a connection between the boards earth, which were wired to copper plates on the sculpture, and to various other points that were wired up to black conductive paint. Have a look at Flick, Ayten and Kelsey demoing it during the construction phase. 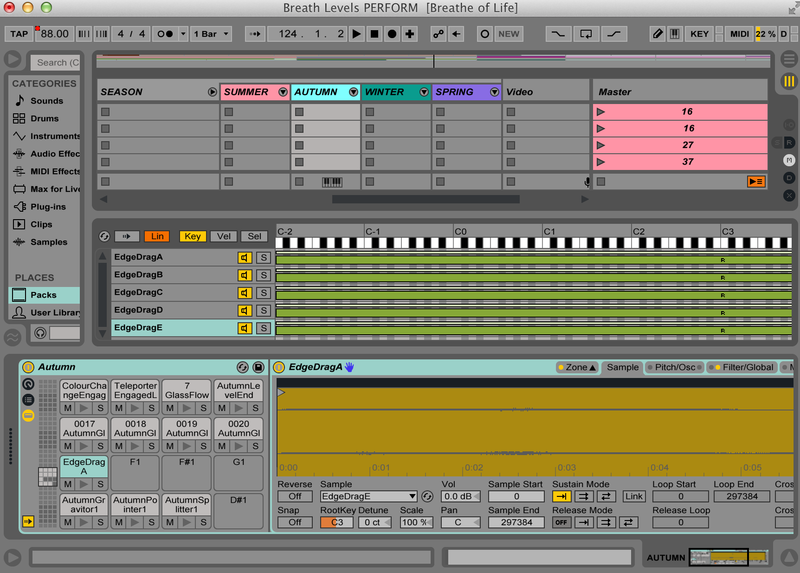 Each QWERTY key command was assigned to various ‘gestures’ within Ableton Live 9. I say gestures, because each key command triggered a number of different actions simultaneously such as triggering an audio or midi clip at the same time as triggering FX chains and movement between the four speakers. One example of how this triggering of gestures worked is the letter “R” (see screen grab below). When the point on the sculpture triggered Capital R, this then triggered the key command gestures that were assigned in Live 9. “R” was set up to trigger a simple melodic riff, but if held down for long enough also triggered a ‘resonation FX chain’ that would gradually fade in to make the whole object become awash with a harmonically rich reverb sound. This was accomplished by the triggering of “dummy clips” on the Output channels, which have no audio information, but instead hold automation data. These clips were set up Gate mode, so they would only play when held down. These channels received audio from each of the four sound sources through their respective sends. In this way, at any time we could route any of the different sounds within the sculpture to any or all of the four speakers in any combination. Below is the Fence Bass being routed to sends B & D, which in turn were being sent to outs 2 and 4, the speakers located near the ground. We also had a series of field records that acted as an underscore for the sculpture, so that the object wasn’t silently sitting there when people were not interacting with it. This underscore slowly moved around each of the four speakers through send level automation, once again created within a dummy clip. This project was really super fun, and great to work with the wonderful staff at Arts Centre Melbourne, and the talented and creative young people who recorded the sounds, designed the sculpture and wired it all up to work! It’s a great privilege to be involved with participatory youth program called QUADwrangle over the next two weeks. 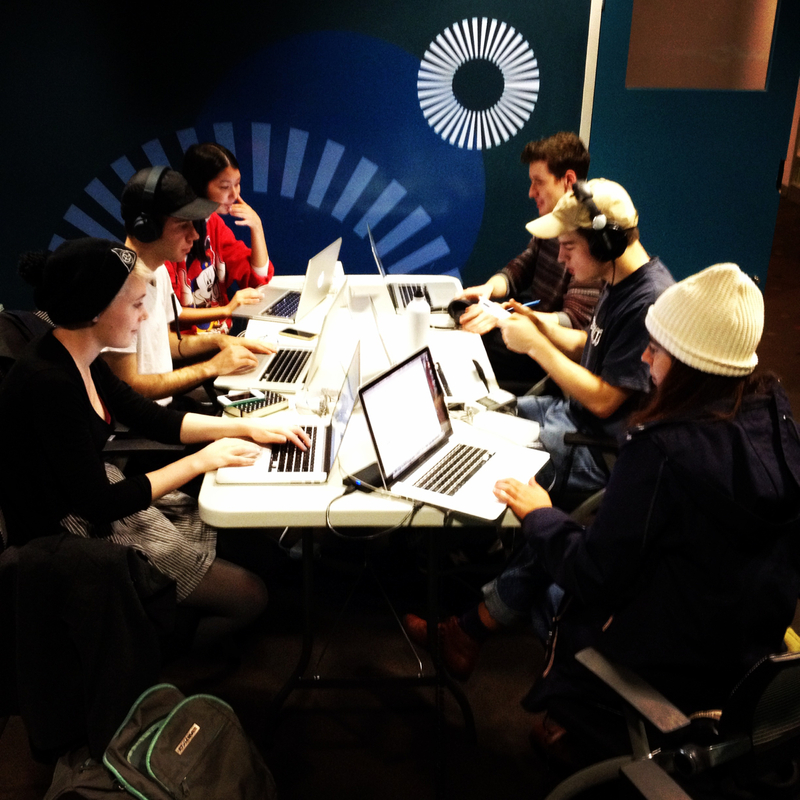 I’m working with a bunch of young sound artists from the College of the Arts (VCA), to create an interactive sound sculpture that will reside at Arts Centre Melbourne’s Fairfax theatre August 13-16. The intention is to create an immersive and fun piece with this awesome crew of artists and musicians. We’re going to explore new processes together, and develop a work that will invite and engage the audience to get involved an collaborate with one another to make music. All too often these sort of interactive works run the risk of having too much happening when lots of people are interacting with it. The challenge for us is going to be to get this sculpture to become more musical, more harmonious and more inviting the more people who are playing with it. These themes are intended to mirror Shaun Parker’s The Yard, a contemporary dance piece that is running concurrently at the Fairfax theatre, which tackles the cultural divide within the school yard. Today we spent the day creating original sounds, that evoke a school yard of nostalgia of sampling old primary school xylophones into my Teenage Engineering OP-1, creating Drum Racks of clunking rulers, tearing paper and textas, as well as manipulating field recordings into soundscapes within Ableton live. Rehearsals have begun for a fantastic project I’m involved with called The Radio Hour. It is part of the Melbourne Writer’s Festival inconjunction with ABC Radio National. This is a full scale live production – a night of non-fiction story-telling on the theme ‘When Words Fail’, presented live on stage by the writer/s/producers themselves, and scored live my some super-talented musicians. The night will be recorded live for broadcast on Radio National’s 360 Documentaries program. I’m part of a band with Biddy Connor (Sailor Days, Laura Jean band) & Dan Marsh (Human Face) performing a live soundtrack. Writer & documentarian John Safran. Benjamin Walker (USA) host of Radiotopia podcast Benjamin Walker’s Theory of Everything. Award-winning Zimbabwean author NoViolet Bulawayo. ABC Radio National’s 360 Documentaries ,executive producer Claudia Taranto. Roving reporter/radio producer Emily Richmond (USA). Plus: A special appearance by First Chorus: Band Of Singers. All put together by the wonderful producer and host Jaye Kranz. 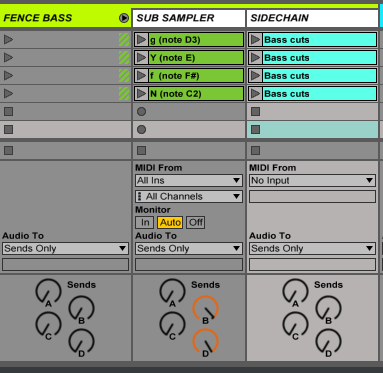 I was recently part of a remix/collaboration project with fellow Melbourne producer, and all-round nice guy Tim Shiel. Tim recently made the soundtrack for a iOS game Duet, which has been kicking goals internationally. He then invited a bunch of fellow Melbourne producers, Lower Spectrum, Friendships, Aoi, Jahnne, Aliigator Williams, Luke Howard, Surf Dad, Clue to Kalo and yours-truly, to take the musical elements of this iOS soundtrack, and re-interpret them. Here is the track that I worked on with Tim called “Collapse”. It’s ended up sort of like a dark expansive soundscape with a sense of internal perpetual movement that will hopefully take you on a musical journey. It’s a Pay what you want album, so you can DOWNLOAD the whole Album from Tim’s Bandcamp. So I’m doing a presentation at Face the Music conference tomorrow… if you can’t make it.. this video is about 3 minutes of an hour and a half session that I’m doing with the very talented Tim Shiel, about incorporating Ableton Live and Music Tech into your Live Show. 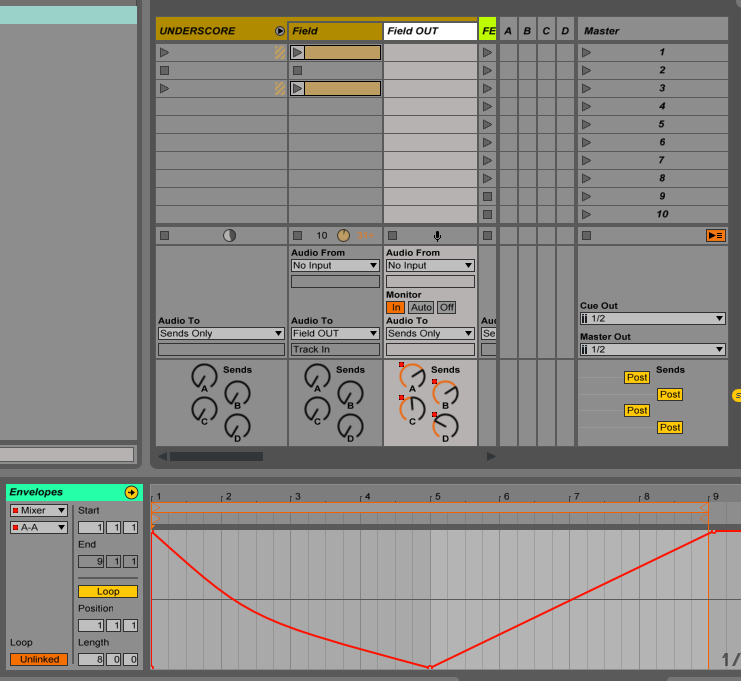 I’m talking about using Ableton as an FX processor and looper, and Tim is talking about how he used Ableton Live in Gotye’s live show.